FLASHBACK: Teniel Campbell sprints to victory in the women's road race, at the Central American and Caribbean Games in Barranquilla, Colombia last year. 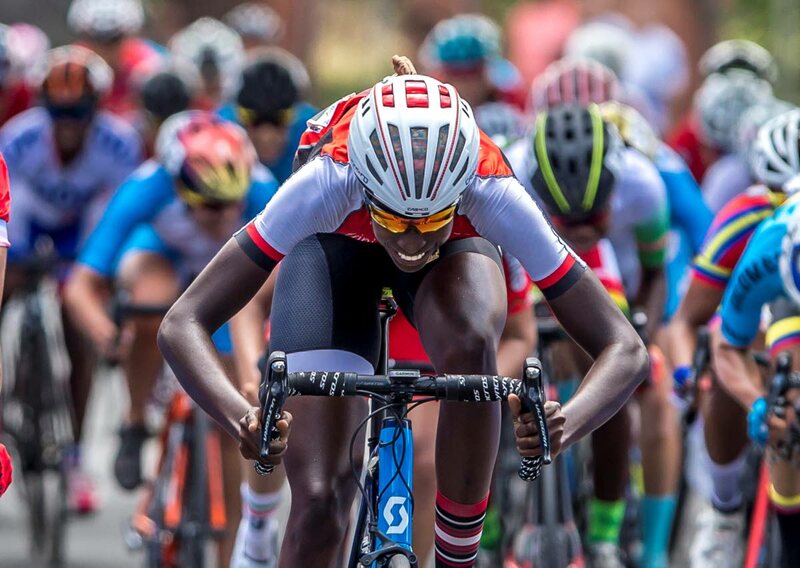 ADAM Alexander and Teniel Campbell won the TT Cycling Federation (TTCF) 2019 Road Series One elite men's and elite women's titles respectively, in a race that started and ended at the Mucurapo Foreshore on Sunday morning. The riders took off at 7pm and made their way to Debe before doubling back to the Foreshore. Alexander of Raiders was the first back, clocking two hours, 30 minutes and three seconds. Finishing behind Alexander in the elite men's/open category were Kemp Orosco (Team DPS) and Enrique De Comarmond (Team Pharmaco) respectively. Rising national women's cycling star Campbell (Team PSL) won the elite women's category ahead of fellow national cyclist Alexi Costa (Heatwave). A total of 45 cyclists took part in the elite men's, elite women's, juniors, masters 40-49, masters 50-59 and masters 60-69 categories. There was a rolling start and the starting flag was dropped in front of the lighthouse in Port of Spain. Twenty-five riders completed the race. The TTCF said it was grateful for the sponsorship of the event. A TTCF press release said, "The cyclists are yearning for competition and we look forward to continued support by other clubs, corporate sponsors and cycling enthusiasts willing to make contributions. Thanks to the TT Police Service, the Red Cross Ambulance Services and commissaries for the effective participation as there were no incidents recorded." Reply to "Alexander, Campbell win Road Series One titles"